One thing not to have for a low-maintenance garden, which is yet such a joy, is something that only flowers for a couple of weeks. But if the plant concerned is a bulb, flowering in spring, then perhaps you might be tempted. 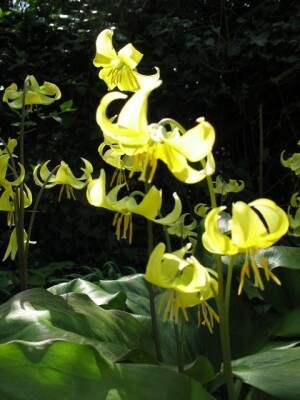 I was – I have an ‘Erythronium Pagoda’. It’s a relative of the pink ‘dog-toothed violet’, but bigger and yellow. Every year, I think it’s gone forever under the ivy, eaten by tunnelling rabbits, etc. Then the whorls of green leaves heave their way up out of the earth, stems unroll their buds and the plant is in full flowering glory. It’s worth having just for this.